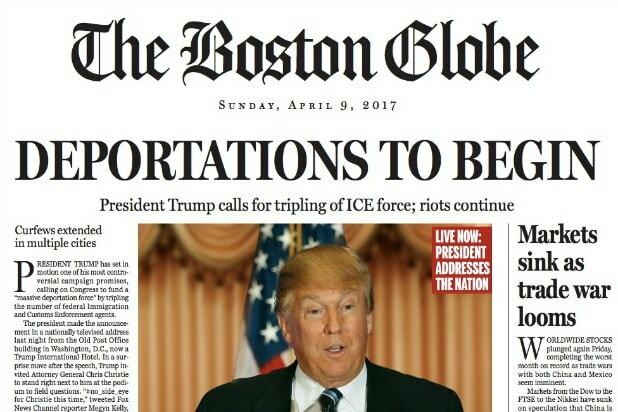 “Curfews extended in multiple cities.” “Markets sink as trade war looms.” “DEPORTATIONS TO BEGIN.” According to a scarily convincing satirical front page of the Boston Globe — the paper on which this year’s Best Picture Oscar winner, “Spotlight,” was based — these would be facts of life in the United States under President Donald Trump after Jan. 20, 2017. 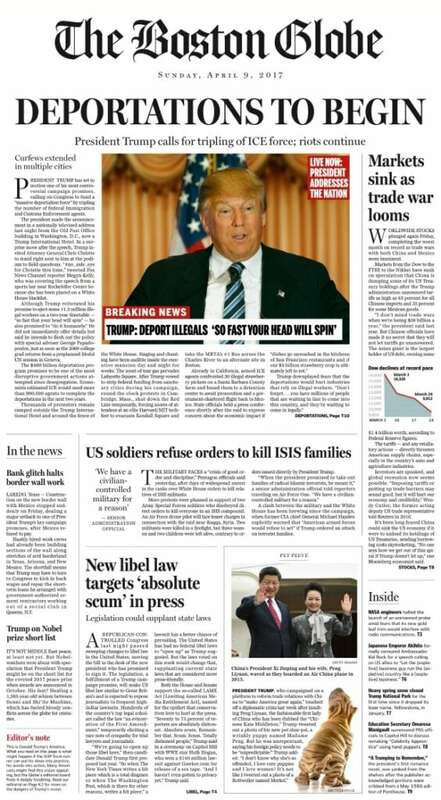 There are other fearsome prospects of a Trump White House in the Globe’s false front page, dated April 9, 2017. U.S. soldiers refuse to kill the families of members of the ISIS terrorist organization. Other parts of the front page are satire at its best: over-the-top scenarios befitting an over-the-top candidate. The tongue-in-cheek vision of life in Trump’s America was accompanied by a blistering editorial statement that pulled no punches. “He winks and nods at political violence at his rallies. 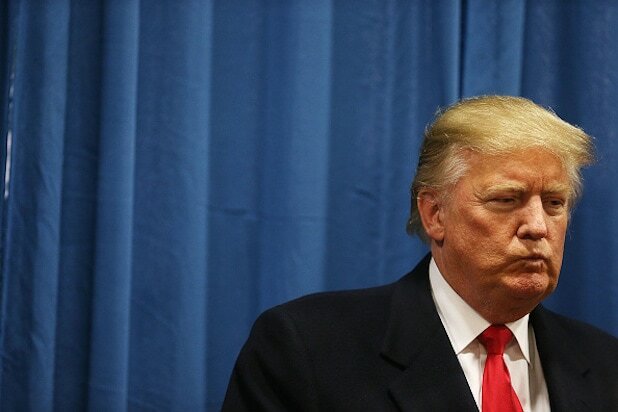 He says he wants to ‘open up’ libel laws to punish critics in the news media and calls them ‘scum.’ He promised to shut out an entire class of immigrants and visitors to the United States on the sole basis of their religion. See the whole satirical page below.